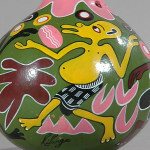 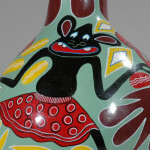 George Lilanga was born in 1934 in Masasi, Tanzania. 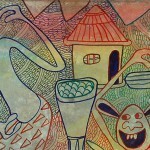 Until 2005, Lilanga kept a home and studio in Dar-es-Salaam, Tanzania. 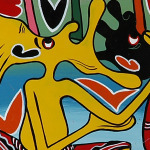 Sadly, he passed away in June of 2005. 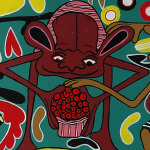 George Lilanga was educated at the elementary school in Lindi City, Tanzania. 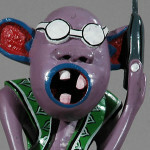 It was in this rural neighborhood that he began to learn to carve wooden sculptures with his people, the famous Makonde wood-carvers. 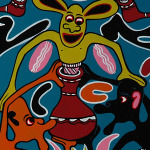 In 1972, Georges traveled from the the high, dry plateaus of his boyhood to the bustling capital city of Dar-es-Salaam, where he encountered more favorable climatic, economic and political conditions. 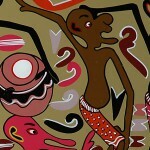 By 1973, Lilanga was an important figure within the “Nyumba ya Sanaa” (the House of Arts) and it is here he began to study drawing, lithography, and painting. 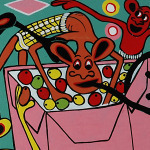 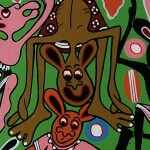 By 1978 he was participating in his first international exhibition. 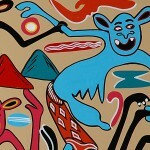 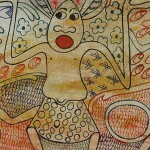 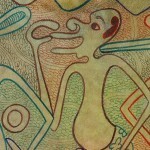 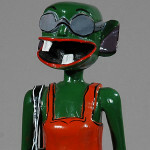 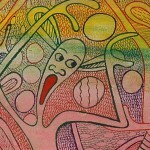 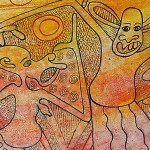 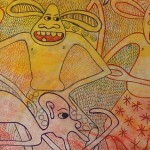 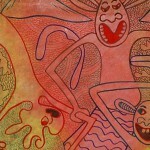 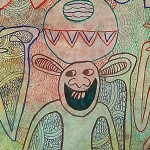 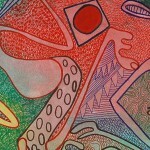 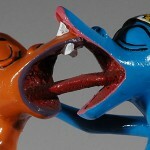 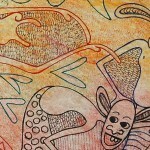 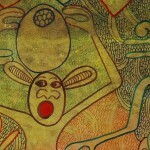 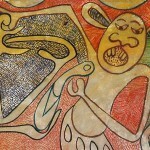 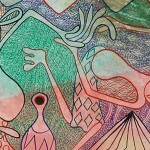 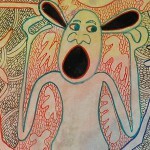 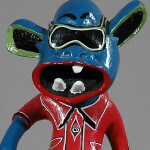 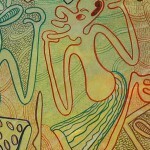 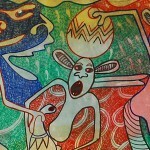 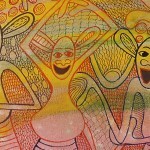 Lilanga works in the mediums of sculpture, painting, drawing, and printmaking. 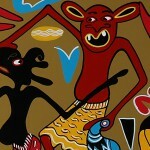 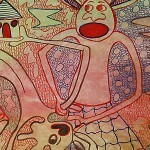 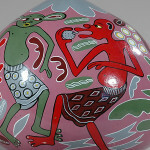 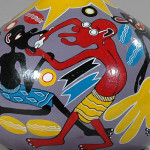 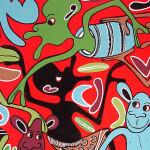 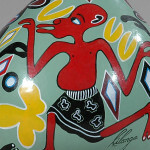 His works are derived from the myths of the Makonde culture. 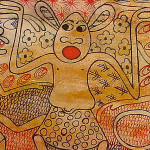 They examine, among other things, the mythical value of women as developed in stories, legends, and in the dances performed by men carrying masks. 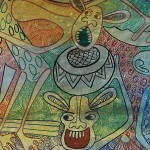 The Makonde believe their ancestors, spirits, and the powers of nature play an important role in maintaining them through a turbulent universe. 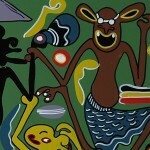 Many of his works resemble a staging of these ancestral and mythological stories. 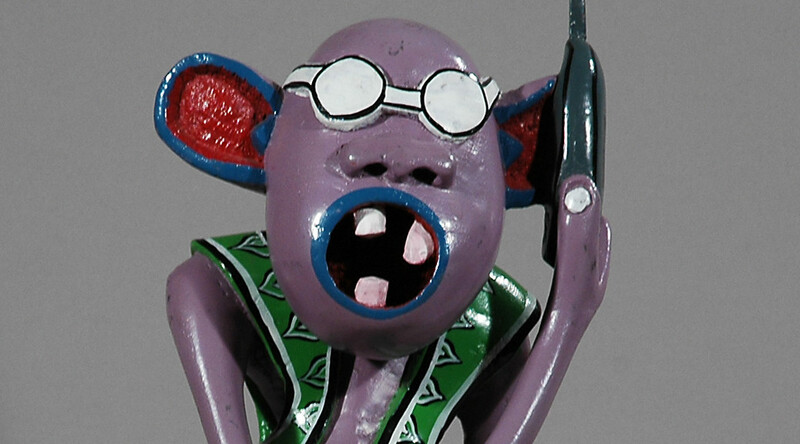 Although Lilanga’s sculptures and paintings are heavily steeped in his traditional Makonde culture, they also testify to the profound revolution that occurred with urbanization and the appreciation of individualism and personal talent in Africa. 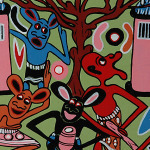 His polychromatic works reveal Lilanga to not only have a highly developed aesthetic sensibility, but also a sharp eye for social observation. 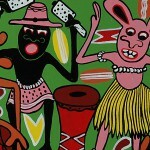 This makes his work not only visually exciting, but also a record of African social critique and caricature.